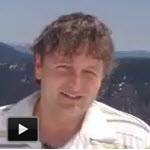 You'll get the MOST comprehensive real estate investing home study course ever assembled. This system integrates every major real estate investing strategy into one, easy to follow, formula and system so that you can do any type of deal, including. Chapter 1 - Real Estate Investing Fundamentals: The ultimate real estate investing formula, real estate investing 101 and advanced real estate investing strategies. Chapter 3 - Qualifying Leads: How to talk to sellers and how to separate the money makers from the time wasters. Chapter 4 - Getting Deals Under Contract: How to write risk free offers so that you have all the upside with none of the downside. Chapter 5 - Deal Evaluation: How to choose the best deal strategy, evaluate the probability that the deal will close and the profitability so that you maximize your efforts. Chapter 6 - Bank Negotiation: How to get the best deal when working short sale and foreclosure deals. Chapter 7 - Exit Strategies: Knowing which exit strategy will make you the most money the fastest, how to find buyers and tenants on autopilot and how to control your buyer or tenant with the right contracts and techniques. Chapter 8 - Funding the Deal: The many different funding sources you have available to you and which funding source to use for which deals. Chapter 9 - Closing the Deal: How to make sure the deal closes and you get paid! Chapter 10 - Putting It All Together: How to automate the process so that you can build an empire. There has never been a more thorough all around real estate investing course ever assembled. With this system, you can make the most of your real estate investing endeavors. You'll get an easy-to-follow step by step plan to getting to your first few deals with this Success Blueprint. Each week, you will have a track to run on so that you will know exactly what to do first, second, third and so on. Although this Success Blueprint was designed for the part time investor, if you want to skip ahead or slow down, you can, because this step by step guide was designed so that you can go at your own pace. This is the same blueprint that many before you have used to become extremely successful real estate investors. 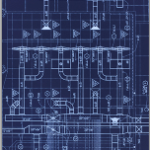 Many who have seen this Blueprint have said, "Finally, instructions on exactly what to do and when to do it!" In order to get you up and running as fast as possible, you'll get access to a series of core trainings which provide you with the foundation for how to be successful in real estate. From how to find the deals, to how to evaluate them, how to get them under contract with a risk free offer, how to determine the best exit strategy, how to close the deal, how to build your team, examples of live seller calls and so much more. Plus, you can download these short audio trainings so that you can listen to them over and over. These are the lessons that will form the foundation for your multi-million dollar real estate empire. This video series was designed to get you up and running quickly and easily. These videos accompany the Success Blueprint and Core Training Audio Series to provide you with an all around fast start to becoming a successful real estate investor. Be rest assured you're going to know what to do and when to do it, so that you won't waste of moment of time and ultimately, reach your goals as fast as possible. The biggest hurdle many investors face when investing in real estate is obtaining the funding for their deals. Usually, the issue is not funding at all, but the deal itself or the way the investor structured that deal. You'll get access to our key relationships with funding resources, such as transactional funders, hard money lenders and private money sources. These resources are opened up to you once you have a deal in place that has been structured in the way we have educated you on. Then, we present your deal to the appropriate funding resource. If the deal fits for their funding criteria, we then get you in direct contact with that funding resource. Funding resources are very apprehensive to work with new people to which they have no relationship with so we make the introduction for you so that you can have doors opened to you that otherwise would be closed. When making offers, oftentimes the seller may require documentation to support that you have the capacity to purchase the property. What if you have bad credit, no money, no ability to get a loan; how do you prove to the seller that you can close? With a Proof of Funds letter. This resource is literally invaluable. We give you access to funding resources that offer proof of funds letters for your offers. Now, regardless of who you are and what your current financial situation, you can make offers like the pros! Now you can leverage our relationships and resources to build your real estate investing business faster and easier than ever before. We have compiled the best vendors from across the country whose services help investors succeed. Using our 900lb gorilla-type status, we have negotiated great rates on your behalf. This is our million dollar rolodex opened up just for you. You'll get access to all of our key relationships and resources saving you the time, energy and expense of having to build these contacts the long and hard way. This is your shortcut to having your real estate dream team. Risk Free Offer Contract - When you have the right contingencies in your contract, you can make unlimited offers without worry. This allows you to make more offers with less stress which ultimately makes you more money. 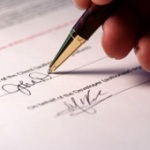 Memorandum of Agreement - This form is mandatory for all savvy real estate investors because it protects your interests in every deal you get under contract. Most investors don't even know what this form is, but those in the know, use it on every deal! "Locked In Buyer" Contract - This powerful contract is ideal when selling a property because it gives you considerable flexibility while locking in the buyer. Closing HUD1 Settlement Statement Creator - Know the closing costs before you make the offer. This form is what closing companies use to estimate closing costs. Now you have that power too! BPO Creator - This proprietary form puts you in charge of short sale and foreclosure negotiations and is something the banks definitely wish you didn't have! Hold Harmless and Indemnity - After a closing, most people think everything is over. But little do they know that the participants can come back years later if they find a loophole! This essential form waives those rights and protects your future. Don't close a deal without this form. Plus, these template forms and contracts are in the most universal formats, Microsoft Word and Excel, so that you can customize them to fit your needs quickly and easily. Introducing a treasure trove of videos, audios and articles on how to be a better real estate investor in today's market. Real estate investing is an ever-changing business and with access to this archive of information, you'll have the latest and greatest tools, tips and strategies at your fingertips. With the Knowledge Center, you'll stay on the cutting edge, ahead of your competition and in the money zone! ePartner® Personal Edition is the most powerful real estate deal making automation software available. ePartner® helps you locate your deals, market your properties, analyze your profits, and close your transactions. All details regarding your deals, including complete information on every property, seller, buyer, tenant, lender, agent, vendor, etc, as well as every contract and crucial document is available to you from any computer anywhere in the world at all times (including directly from your smart phone). This unprecedented accessibility provides you with the ultimate in efficiency and success while also allowing you to literally run your real estate investing business from anywhere at any time. Get a sneak peek inside by watching this ePartner® Tutorial Video. 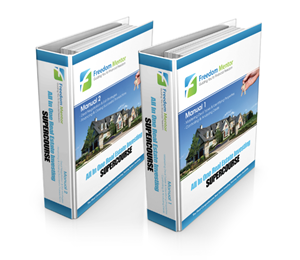 These incredibly powerful lead machines have been optimized for maximum conversion and contain the exact layout and copy to make you look like a very experienced and trusted real estate investor, even if you are first starting out. They automatically integrate directly into your ePartner® account so your leads are organized for you. When a new lead comes in, these websites send you immediate text and email "Deal Alerts" so that you can follow up with the prospect immediately and beat your competition to the deal! Plus, you can gain instant credibility with prospects when they see your professional website and your rapid response time. Welcome to the future of real estate investing and you're on the cutting edge with this technology! Department Contact Information - Authorization, Payoff, Customer Service, Short Sale and Foreclosure (as well as many other) Departments' phone, fax, email and hours of operation information. No more sitting on hold with these short cuts. Personnel Direct Contact Information - Names, extensions and email addresses for Short Sale and Foreclosure representatives, negotiators, closers and managers. Now you have access to the decision makers like you've always wanted. Offer Requirements - Short Sale and Foreclosure offer requirements and specific short sale packages for each major lender. Now you know what to send them along with your offer so that they process your offer fast. Approval Guidelines - Negotiating and approval information on each lender including how their short sale process works, how they approve foreclosure offers and finally, what offer amounts they normally approve. Now you can know the price the bank will agree to before you make the offer! Up-to-the-Minute Lender Blogs - Ever changing blogs for each lender which reveal hidden secrets and tactics for getting banks to "Yes!" to your short sale and foreclosure offers. This is an organically growing tool that is constantly being updated by our students and coaches across the county so that the entire community of users benefits from the knowledge gained by others. It gets more and more powerful each and every day! No one else has a tool like this that combines the most important information short sale and/or foreclosure investors need to quickly and easily negotiating great deals with banks. Messaging Module - The ability to send messages to any individual coaches or the first available coach and all messages appear in the Notes tab of each deal so that every piece of advice is easy to find and is never lost. All of your correspondence is automatically organized so you don't have to organize it yourself. Interactive Notes Module: Allows you and your coach to work together in real time on all your deals. Deal Document Review Module: Every key document you upload is reviewed by a coach to ensure you have completed it correctly. This "second set of eyes" prevents important details from falling through the cracks. Activity Accountability Interface: Know where you stand in your progress as well as where you need to improve and shows the coach where you need to be held accountable so you don't make excuses and so that you reach the goals you have set for yourself! Most Influential Coach Designation Module: When a deal closes, you get to choose who was most influential in helping you get the deal under contract as well as closed. This creates even more incentives as well as some cooperative competition amongst the coaching staff to make sure you are successful. This system allows our coaches to train and mentor you on a level never before seen in the real estate investing education industry. Using the power of technology, this system allows you to have the sharpest minds in real estate investing reviewing your business as if they were sitting next to you in your home office. Since every investor comes from different circumstances, has different strengths and has different goals and dreams, rather than shove every investor into the same cookie-cutter approach, our team customizes an investing plan just for you. Whether you want to flip properties for quick cash, hold properties for long term wealth, invest long distance, or close to home, or all of the above, we'll determine a plan that's right for you! 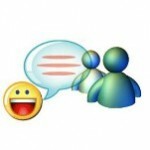 UNLIMITED ACCESS TO RECORDINGS - If you want to refer back to a call you had been on (or you want to listen to a group coaching call that you missed), every one of the group coaching calls you have access to is recorded and available for you to listen to. DEAL CLOSING HELPLINE - If you're deal is about to close and you need immediate assistance, we have developed a special way to reach our team. 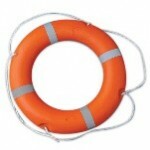 It's your deal saving resource only to be used in emergency situations. In real estate, sometimes the closing can be the most critical part of the deal and having a lifeline like this can make the difference between a deal closing (or a deal falling apart). You can rest easy knowing that you are in good hands and that we have your back! DEAL ASSESSMENT & REVIEW - Have some of the smartest minds in the real estate world assess and review your deals. Our expert coaches can assess all the possible acquisition and exit strategies so that you can obtain maximum profitability from every deal you do. They can also review your documents to make sure you have completed them correctly. This is the greatest "second set of eyes" you could ever have on your deals. And thanks to the interactive features available with ePartner®, it is quicker and easier than ever before for you and your coach to collaborate! PRIVATE MESSAGES TO COACHES - Far better than email support, this messaging system was custom designed for optimal interaction between coach and student. When you need an answer to a questions quick and it is not during a scheduled live coaching call, you can lean on your Private Messages to Coaches for help. You can send your inquiry to the first available coach, or an individual coach, and get the support you need. Plus, this powerful messaging platform allows the coach to review all the details of your deal without you having to write them all out. This saves you time by only having to write your direct question without all the background. In addition, every message you send along with every response from the coach is logged and stored in ePartner® for easy retrieval. It's like having a private investing mentor working alongside you everyday! This is the most sophisticated, yet easy to use, real estate investing messaging mechanism ever created. LIVE Q&A GROUP COACHING CALLS - Handled by the best and brightest real estate minds in the industry, with these calls, you can get answers to your questions when you need them as well as the ability to listen and learn from the questions of other students. This is your very own mastermind group, if you will, of like-minded, successful real estate investors learning together. And as beneficial as getting your own specific questions answered can be, you'll also find learning from the mistakes and challenges of others to be extremely valuable as well. As they say, "a smart man learns from his own mistakes…a wise man learns from the mistakes of others." You can gain tremendous amounts of real world knowledge just by listening to the questions of others. Plus, these calls can be incredibly inspirational as you'll hear the voices of real people, just like you, in the midst of real deals where they are about to make (or have just made) $30,000, $40,000, $50,000 or more. PRIVATE ONE ON ONE COACHING CALLS - This is the personal one on one attention you've always wanted. With private coaching calls, you get an accountability partner who won't let you fail, the ability to strategize on growing your business, the opportunity to improve your techniques and even the chance to conduct three way phone calls with sellers, lenders, buyers and/or other deal participants. You can listen to how your personal coach handles your deals and both learn and get your deals done at the same time! Having a structured one on one private call with your personal coach can help take your business to entirely new level! Have you ever said to yourself, "Once I see it done, then I can do it?" Well, now you can see it done! You'll be shadowing Phil for a day in his hometown. You'll discover exactly how he produces such extraordinary results. You can see he finds, gets under contract, funds and closes deals right before your very eyes. You'll discover those little secrets, shortcuts and strategies in person that can sometimes be challenging to pick up on over the phone or on a video. This is the hands on tutelage the most successful investors have used to gain that competitive edge. If you want to be the best, you need to be with the best, and here's where you can do this; by shadowing Phil for a day. ON-SITE MENTOR - This is the ultimate mentoring experience; one our our coaches in your hometown for 3 days walking you step by step to financial freedom in real estate. This is the hand holding you have always wanted. They can help you speak to sellers, get properties under contract, meet with your team members, streamline your operations, show you hands on how to implement your tools and resources, close your deals and so much more. If you want to take your financial life to a whole new level, having an on-site mentor is your next step. MASTERMIND - It has been well documented that when two or more like minded people come together in a harmonious state, powerful ideas, strategies and results can be produced. This is the mastermind principle. Now, you can dramatically improve your future, faster through this powerful strategy. You'll become a member of Phil's private mastermind that combines a handful of like-minded, extremely successful investors together, who are committed to sharing, nurturing and growing each others businesses. Therefore, you'll gain the collective wisdom of other fellow successful real estate entrepreneurs. Your mastermind will be a small and close knit group, a network of power players, committed to growing together and building lasting relationships. It will meet once per month over the phone in a conference call format. Once you have experienced the power of a mastermind, you're life will never be the same. Quantum Success is a program designed for you to take complete control over every aspect of your life, including your time, your relationships, your physical and mental health and so much more. Becoming financially free is just the beginning. This program will transform every aspect of your life so that you can have more joy, excitement and fulfillment than you ever thought possible. Be blown away by the power of having Quantum Success! Our real estate coaching and mentoring services are built on the foundation of mutually aligned interests. When everyone's interests are aligned, all parties can succeed beyond their wildest dreams. That's why we share in the profits with our students. When a student closes a deal, 50% of the net profits goes to the student and the other 50% goes to us. Therefore, we both have "skin in the game." When you succeed, we succeed. It is our firm belief that our job as coaches and mentors is not finished until you have closed deals. Specifically, we will be sharing in the profits on the first $500,000 in profits. This gives you a definite period of time that you know will be sharing in the profits with us and also gives you enough deals to ensure you have learned the trade well enough to go off on your own. The ongoing real estate coaching services and support provided to our customers is the finest in the industry. Further, the technology required to power this incredible system is provided by a third party company, ePartner®, which offers it's world class and one-of-a-kind functionality on a licensing basis. In order to provide these world class ongoing real estate coaching services and support as well as access to ePartner® Enterprise Edition access, a nominal cost-of-doing-business monthly fee is passed on to you. Think of this as the miniscule overhead to run your multi-million dollar real estate investing operation. Our real estate coaching and mentoring services are built on the foundation of mutually aligned interests. When everyone’s interests are aligned, all parties can succeed beyond their wildest dreams. That’s why we share in the profits with our students. When a student closes a deal, 50% of the net profits goes to the student and the other 50% goes to us. Therefore, we both have “skin in the game.” When you succeed, we succeed. It is our firm belief that our job as coaches and mentors is not finished until you have closed deals. Specifically, we will be sharing in the profits on the first $500,000 in profits. This gives you a definite period of time that you know will be sharing in the profits with us and also gives you enough deals to ensure you have learned the trade well enough to go off on your own.